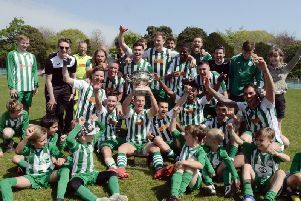 Byron Napper has put pen to paper as Haywards Heath Town manager Shaun Saunders continues to build his squad ahead of the first pre-season friendly on July 7. Well-travelled Napper played at Loxwood the past few seasons but has played for Crawley Town, Weymouth, Kingstonian, Crawley Down, Horsham and Lewes. The midfielder, who can also play in the back line, will further add to the experience Heath need in their first season in the Bostik league.